Heavy torrential rain yesterday has flooded and cut off traffic flow between Gusap station and Usino-Bundi junction. Surinam river forced mud and sediments onto the road while the bridge at Menya is hanging precariously. Commuters and motorists alike are stranded on both sides of the blocked sections of the highway. Currently police and officers from the Department of Works are monitoring the situation. Rami Agri Industries is using its excavators to clear the flooded road section. 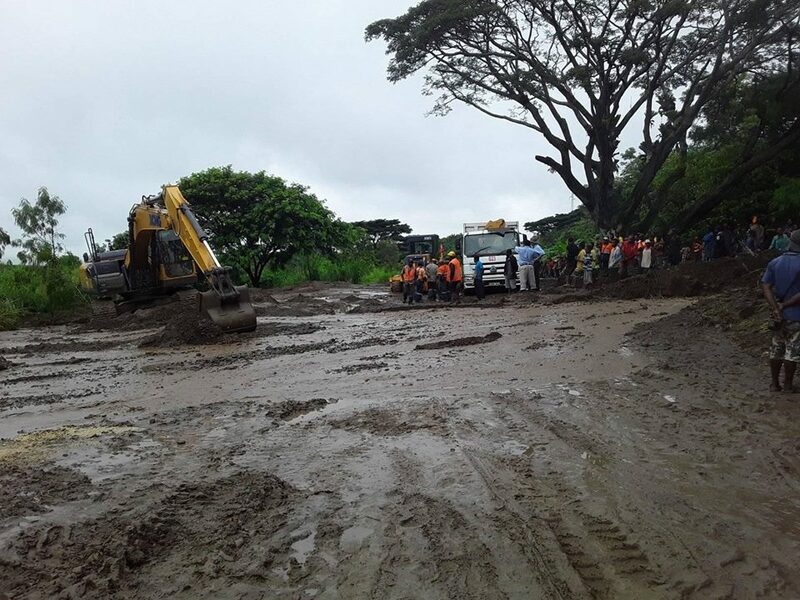 A good number of travellers heading to Walium in Usino to witness Prime Minister Peter O'Neill and Governor Peter Yama were left stranded and forced to walk across.